It would seem that I am not the only gardener overrun by zucchini this year, and I’m with most of the gardeners who responded to my last post; I’m delighted to have this problem of what to do with all of my zucchini. A few years ago a pal of mine posted a recipe on her Facebook page during the height of zucchini season. I was intrigued by the simplicity of the recipe and by the ingredient list which includes Maryland’s favorite spice mix, Old Bay Seasoning. Okay, it’s the bottom of the 8th, (Monday night)….. you’re the home team, (cook), and you find yourself with lots of infielders (vegetables) but no plan for their use and you just can’t imagine how to get through the next 3 or 4 innings (meals) without a pinch hitter (help!!!). Okay, okay, so the men with whom I live (one very young and the other, like me, not so young anymore) have filled my life with baseball talk, but baseball makes for good summertime analogies. I’ve grown to enjoy baseball even though it seems to be on every night! !, but I confess that I do get tired of cooking every night, especially in the summertime. Both of my men help out with the dishes but neither likes to cook nearly so much as they like to eat. Plus, I’ve got veggies from the garden as well as an abundance of cheap summer produce that I couldn’t resist buying at the grocery store. The plan, therefore, is to take care of several meals at once with less than 1 hour of time – not all of it requiring me to be present. Peek out the window, look in the fridge – send a runner out to 2nd base (to pick) or to 3rd base (to buy) some veggies and keep the team fed for several days. Those of you who’ve grown zucchini know that if the plant works, you go very quickly from wondering if you’ll ever get any zucchini to stuffing zukes in neighbor’s mailboxes when they’re not looking to offload some of your surplus. For the past several years my zucchini have been decidedly in the NOT WORKING category, so I’ve not had to force squash on the cul-de-sac, but this year (largely I think because I got ahead of the bugs early), we have zucchini. While I like zucchini, I admit that even I am not a fan of the traditional sautéed squash, so I’ve become a zucchini seeker. How else can we use this prolific nutritious gift without having it be, well, yucky? Big Sis and I have shared a few zucchini secrets in the past, but I found a new, and perfectly lovely solution, right there in the “As Seen on TV” display. If you just laughed, then you should admit that you’ve been tempted to look yourself. I just couldn’t stop myself when I saw a little gadget that claimed that it would spiral cut my vegetables for $10 and would fit in a drawer, the Veggetti Spiral Vegetable Cutter . I snatched that little sucker up. And let me tell you what. It works. It actually does what it apparently says it does on TV. With little effort and about a minute of turning I had enough spiral zucchini noodles for 2 adult dinner sized portions – from one zucchini. Nice. Being fans of Mediterranean food, we naturally concluded that we could put tomato sauce right on those bad boys and call it dinner, but we were feeling a little zesty, so we went in another direction, sort of a deconstructed zucchini chili mac.I simply prepared the fixins that I would normally serve for us to make burritos and instead of wrapping everything up in a tortilla, we served it on top of zucchini noodles. And it was delish. My vote on the Vegetti? A resounding yes, and I can’t wait to make some zucchini noodles for Pasta Sunday. Next time I post I’ll have another fab zucchini suggestion straight from the heart of Maryland. Hope you’re all having a lovely summer! I got a call. A few hours too late, but I got a call and that’s pretty impressive. Let me explain. I’ve been a bit out of touch because my brother, who lives halfway across the country from me, has been visiting. I checked out of most of my regular life and spent some wonderful days getting to know him better and watching my children fall in love with their uncle. I’ve missed all kinds of news, including the news about the bag of nectarines in my refrigerator. In case you’ve not heard, stone fruits are being recalled nationwide for possible listeria contamination. More details follow here. It is important to note that bulk packs, individually sold fruits, and pastry made with fruit are all subject to the recall. I am pleased that my market called me to let me know; I just wish it had happened before breakfast. If they hadn’t called, I probably would have had another before I saw the news today. I’ve eaten several of these. If I complain of flu-like symptoms anytime in the next several months (because apparently it can take that long), please fell free to remind me to see my health care provider. I will now return to my regularly scheduled activities, including sharing recalls when they come across my wire. 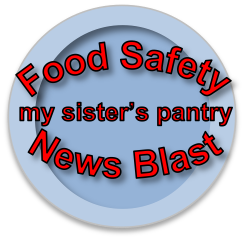 I’d encourage you, however to check out the Food Safety News website yourself so you can be informed about the fruit in your fridge. Eat well, be well friends. Fingers crossed. I like to think that I’ve gotten a little better at managing my scene at Costco. I no longer need a guide or sherpa. I’ve never been tempted by the vehicles or pianos (although I confess camping gear can get a little dicey). I attempt to take a list, and sometimes I even stick to it (silence in the peanut gallery please). At any rate, through all this increasingly disciplined procurement I have discovered that Costco has some remarkable deals on some healthful foods. These have become staples for me that make it easier for me to plan highly nutritious meals or to fake a planned meal with high quality ingredients. While Costco does offer a significant amount of prepared food, they also have a remarkable number of real food ingredients. If you are skeptical, or still in the frozen stage of your Costco relationship, I thought I’d share my top healthful purchases at our local Costco, so you can guide yourself through the onslaught of offers. There are a lot of good deals on produce at Costco, although many of them are packaged in ways that I just can’t stomach, so I’m going to focus on the really exceptional, and less poorly packaged, deals here. My favorite Costco discovery is the bag of Power Greens. It has several hearty greens mixed together and is perfect for adding to salads, soups, smoothies, and anything else you would normally add greens to. Don’t forget greens freeze just fine, so the size of the bag shouldn’t put you off. It’s 4.99 for a massive bag of greens that you would normally buy in little piddly amounts in a plastic box. Carrots are also an exceptional Costco score provided you use them a lot. We are carrot lovers and use our 10 lb bag in plenty of time. This bag comes with two bags inside, so it would also be easy to split with a carrot loving friend. Avocados at a dollar apiece? Yes please. While Costco does not fill my raw cashew needs, they manage to answer all my other nut cravings and requirements, and again they do it at prices that consistently beat grocery stores, even those with bulk bins. Kirkland almonds, pecans, walnuts and pistachios are permanent residents on my Costco list. We’ve also gotten pine nuts and chia seeds there (prohibitively expensive at the market, and they do keep just fine). Organic brown rice at Costco rings in at 1.16 per pound. Costco also sells sprouted dried beans and organic quinoa at better than grocery store prices. 4) Nut Butters While with the nut prices Costco has, I should really be making my own nut butters, I confess that I don’t. This is one place where I let convenience win the day. Kirkland brand organic peanut butter is a staple in our house. We’ve recently been pleased to also find organic almond butter, both at substantially lower prices than I can find them in the market. This is the category for a miss-mosh of ingredients that we buy at Costco and that we’ve found to be higher quality, and less expensive, than any of our other local options. Our Costco pantry staples include: Kirkland maple syrup, Kirkland extra virgin olive oil, dijon mustard, and Kirkland balsamic vinegar. While we no longer buy most of the packaged beverages offered at Costco, we do enjoy the screamin’ deals on snooty coffee. If you are a whole bean coffee purchaser, you should check their prices out. We also occasionally take advantage of sales on coconut water. We have had a good experience with whole grain sandwich bread at Costco and have also occasionally enjoyed the gigantic stack of whole wheat tortillas that they sell for the same price as a dinky grocery store package. 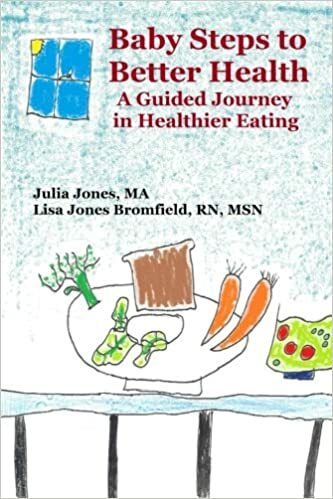 8) Better Junk While we typically eschew junk food, the occasional whole grain tortilla chip goes a long way toward limiting the sense of overwhelming deprivation that can consume my kids. Costco has great prices on a few items that I would categorize as better junk. We typically buy one of these for gatherings or vacations and enjoy the leftovers. So there you have it, the bulk of my permanent Costco list on my phone (which the children now read and manage in a very dictatorial fashion, much to my chagrin). One of the biggest barriers to healthier eating is the cost of high quality ingredients. If you already have a Costco membership, check out these amazing deals. If you don’t have one, but are now tempted, consider giving it a try – or touring the store and doing the personal calculation of whether or not it makes sense for you, or for you and a friend. I am staring at that picture of chips as I write this… I am weak in the face of chips. Hope you are all having a glorious summer and if you are already a huge box store shopper, what are your favorite healthy (or healthier) deals? Look at all the lovely letters at the end of our recipes indicating what it is and what it ain’t. Well these biscuits should be GF / DF / not CB, because they are not like cardboard. They actually had a little fluff going on, and were really quite delightful. I do love a biscuit, so one that is low on fat and can be eaten by y GF/DF family and friends is great except that it means less for me. Ah well. The problem with good food is that other people want to eat up all those potential leftovers, huh? 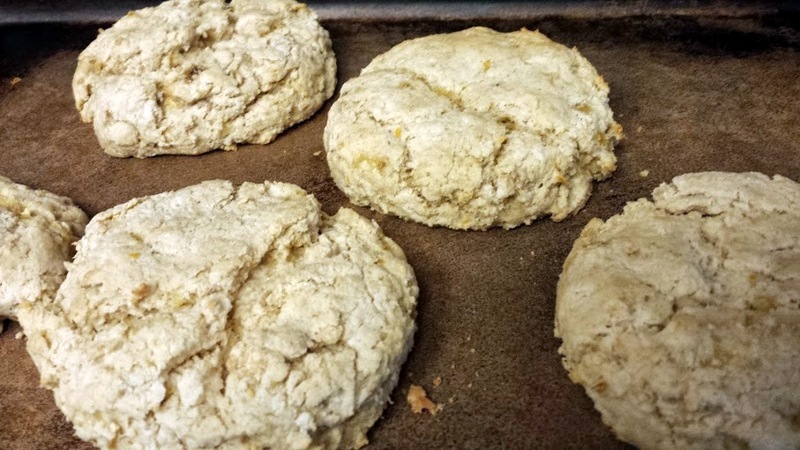 One key to a good biscuit is a hard fat that gets distributed without melting too fast or weighing things down with liquid. No butter allowed over here at my house, so coconut oil placed in the freezer before use served the hard fat need. Banana offered some moisture / replaced some of the fat, and good ol’ Bob’s Red Mill Gluten Free Baking Mix removed the wheat from the equation as well. Mix the dry ingredients and zest together. 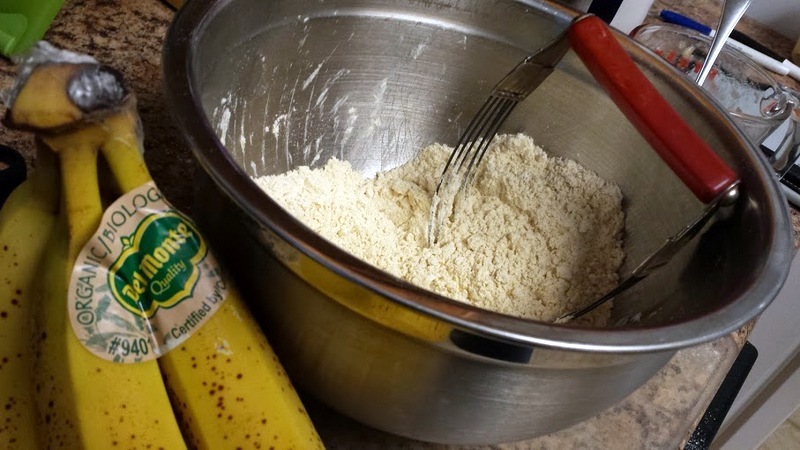 In a separate bowl (or large glass measuring cup), mash the banana and then mix in the milk. 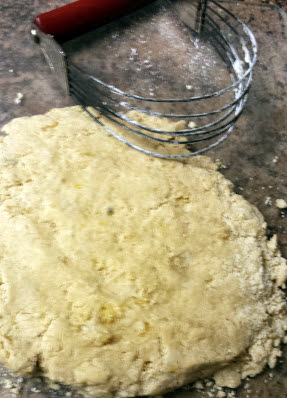 Cut the coconut oil into pieces and mix in with a pastry cutter or a large fork if you don’t have a pastry cutter. Add the mixed banana and milk and stir to combine but don’t over-mix or mash. Spread out on a cutting board or counter to a thickness of about an inch. 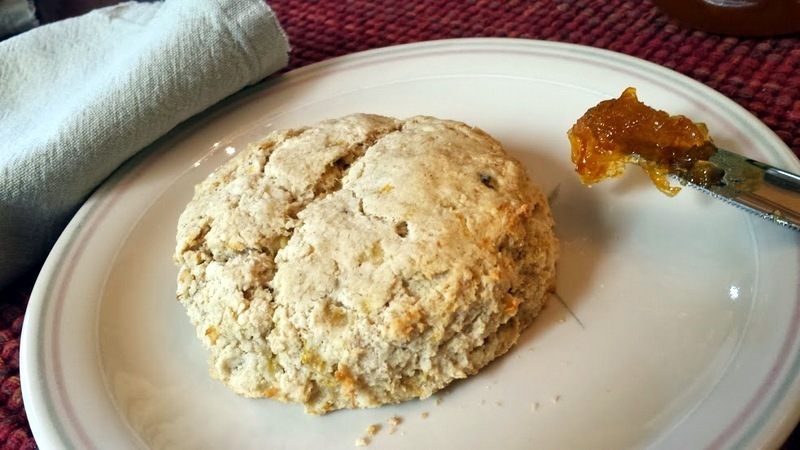 Use a glass to cut biscuits. My son ate his with peanut butter….. makes sense, don’t you think? The heat is on! Summer is finally really here and so far it’s been lovely. Only brutally hot for a couple of days at a time, lots of play, and good friends all around. While I wouldn’t go so far to categorize my summer as all play and no work, I have been really making the most of time and effort saving cooking strategies to maximize fun time. Let’s face it, when it’s 95 degrees outside and everyone’s been playing as hard as they can for hours, the last thing you want to do is turn on the oven. Big Sis and I have many times highlighted the importance of cooking extra when we cook in order to create leftovers or to create ingredients that can be used in a later meal. I especially like to do this in the summer. Whenever I cook grains in particular, I try to make twice what I would normally make so that I have some in the fridge for later, and colder dishes. All of this is leading up to a lovely recipe mash I put together last night, with leftover quinoa playing a secondary, but much appreciated role. The inspiration came from a great dish I made with a great friend last week. She shared a cookbook with me that she had found and after we finished drooling over the pictures (Fresh from the Farm: A Year of Recipes and Stories , such great pictures), we skimmed for a dinner and came across a quinoa and bean salad that looked like just the ticket. We made it, and it was great, and we had the summer joy of eating it cold for several lunches and dinners. Upon my return home, I remembered my big bag of sprouted beans, and a recipe on that bag. It was similar to the quinoa salad, and so I decided to use it as a loose guideline to recreate the quinoa and bean dish. This recipe results in a generous amount, good for a summer cookout or for several days of lunching and munching from the fridge. Cook your beans according to the bag or standard bean cooking procedures. As usual, I highly recommend lentils for quick cooking time. Rinse with cold water to cool off. Add to large bowl with the other ingredients. Stir gently to combine. Yup, that’s it. Delish. Oh, and what’s that cool thing that squeezes the lemons (even the strangely large ones) without getting seeds in the food? Yeah, that’s a very cool and sturdy tool very cool and sturdy tool given to me by one of my absolute favorite people in the world. You can have one too, if you don’t like lemon seeds in your salad. Grilled vegetables are not new to me, and like roasted vegetables, I never tire of them. Whatever you have in the garden or the vegetable bin will probably be great coated with a little oil or marinade and then skewered, ka-bob’ed, wrapped in foil, laid right on the grate or tossed in a fancy grilling box to sizzle over the coals for 15 – 30 minutes depending on how big you cut it and how tough it is. I particularly like to include colored peppers for their sweetness and red onion because it infuses everything with a lovely flavor. Zucchini, mushrooms, yellow squash, green beans, whole cherry or grape tomatoes – it’s all good! Corn is good on the grill also and Little Sis has a no-fuss method here. The eye-opener for us this summer is grilled pineapple. After the veggies are done, we just lay rings of pineapple (I’ve used fresh, not tried canned) right on the grate and let them sit until warm or seared – whatever you like! I do brush the slices very lightly with oil first – I used avocado, but coconut would be awesome as well – both of these are safe high heat oils. Let them cook about 5 minutes a side, but keep an eye because it all depends on how hot and how close the coals. The flavor is amazing!!! Sweet, juicy and a perfect summer dessert. The first time we did this the fire was hotter and we got the lovely brown char lines on the pineapple. Last night the fire was cooler, so no lines, but it was still awesome. Our guests really enjoyed it. One of our brilliant guests spied the dark chocolate that the children had rejected for use in s’mores and wondered if the pineapple would be even better with chocolate on top. Well, very few things suffer from the addition of chocolate, so…. we tried it. 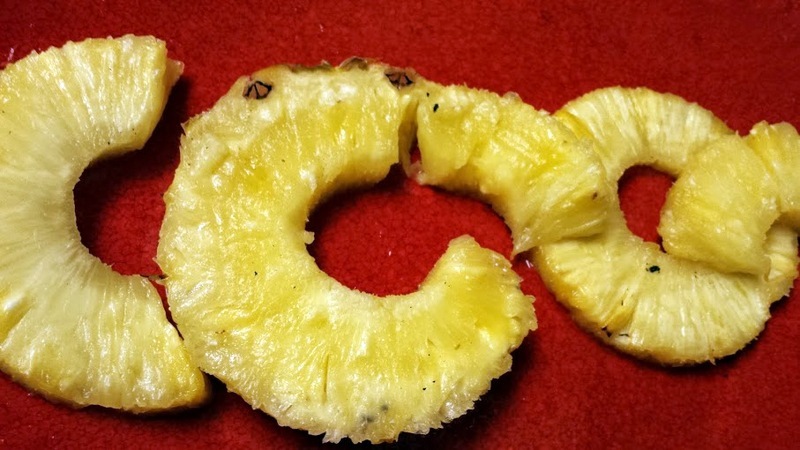 Melt some squares of chocolate – estimate how much you’ll need for the amount of pineapple in question. We did not have much pineapple left, so I did probably 2 ounces. Adding a little coconut oil makes it drizzlier, I added very little- probably 1/8 – 1/4 teaspoon. Melt slowly in the microwave (15 – 20 seconds a few times, then less, stirring between), or in a double boiler. 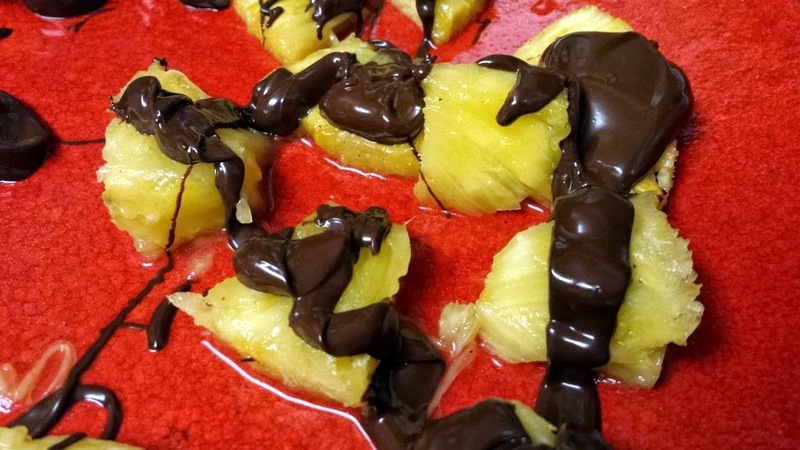 Cut your pineapple into chunks and either drizzle the chocolate over, or let people dip. Luckily the kids didn’t see what we were doing right away. Let them have s’mores – I’ll take chocolate drizzled pineapple any day of the week! Mixed in with friends, kids setting off bottle rockets, and top it all off with reading beside the fire after the guests were gone and the evening was very sweet all around! Have you got any fruit on the grill this summer? Green Beans, Raspberries and Almonds Oh My! Summer is here FOR REAL. Know how I know? It’s not the lack of school. It’s not the calendar. It’s not the heat. It’s not the clothes and toys strewn around the house with wild abandon. It’s the garden. My garden has told me that summer is well and truly here by giving me a glorious bounty of green beans and raspberries. We planted a small grouping of raspberry canes three years ago. I now have a raspberry thicket that in the last two days has yielded 8 cups of deliciously sweet and fabulous raspberries. And that’s after the Japanese Beetles take a share. I must have found one of those magic spots in gardening, because frankly I’ve not done anything special for these raspberry canes. They are so vigorous that they are taming the mint that somehow got in the ground over there (what kind of idiot would plant mint in the ground… ahem… yeah…). My favorite summer meal game is to look at the produce I have and find a way to put it together and enjoy it. So a few days ago I was staring at a big bowl of green beans and a big bowl of raspberries. Why not? I’ve done beans with oranges, why not berries? Why not indeed? Yes, that’s it. No I don’t have quantities. I feel confident saying that your own preferences can rule the day on this one. Warm the olive oil in a pan over medium heat. Add the green beans to the pan. The key is to sauté the beans until they are just al dente. They will get a little deeper green and sweat a little. Add a sprinkle of salt. When beans are very nearly to the tenderness you prefer (yes, you have to taste them to determine this), add the raspberries and almonds. Give them some gentle stirs. Splash in some balsamic vinegar and stir gently to distribute. The raspberries are delicate and will disintegrate if you over-bother them. When warm, remove from heat and serve. Eat as soon as possible and with great summery gusto. Delish!